Stacey Bartels has a vision to run an art gallery after she retires, and she’s got a shot at success much better than most. Her plan got off to a good start Friday night, with the opening of Framed Gallery on Waterloo. The most obviously distinctive thing about her plan is that Framed will deal exclusively in art by African Americans. 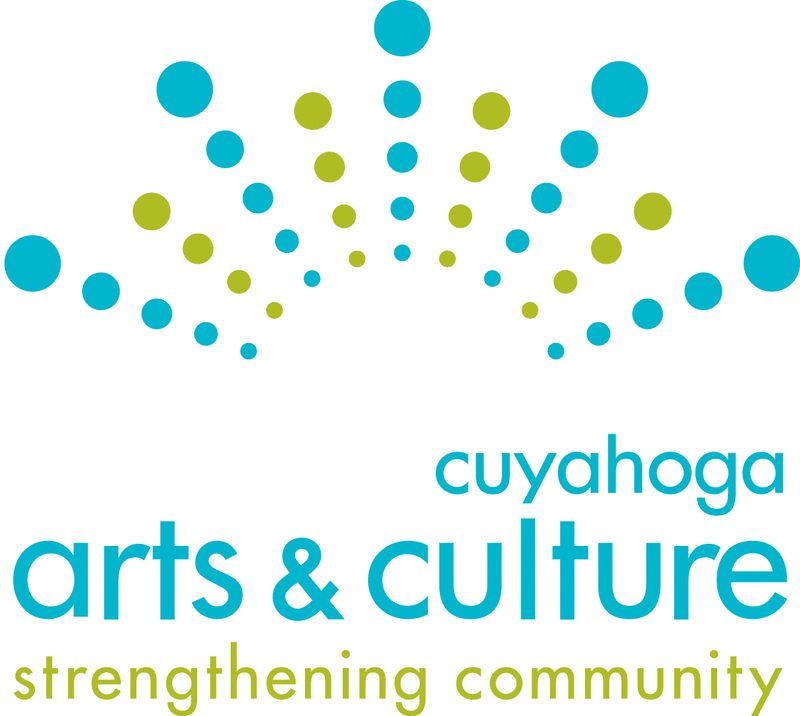 We should note here that the overwhelming whiteness of the art scene not just on Waterloo, but all over Cleveland, is a well-known and long-lamented thing. 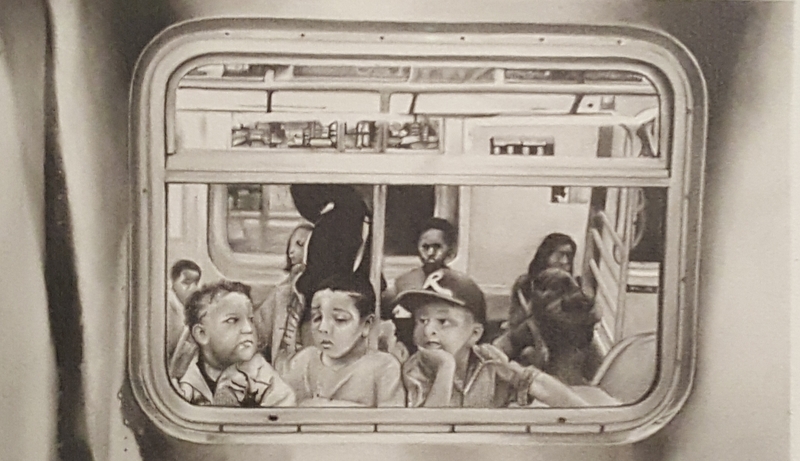 Despite being a majority Black city, the artists exhibiting in Cleveland, the galleries selling, and the patrons browsing are all predominantly white folks. 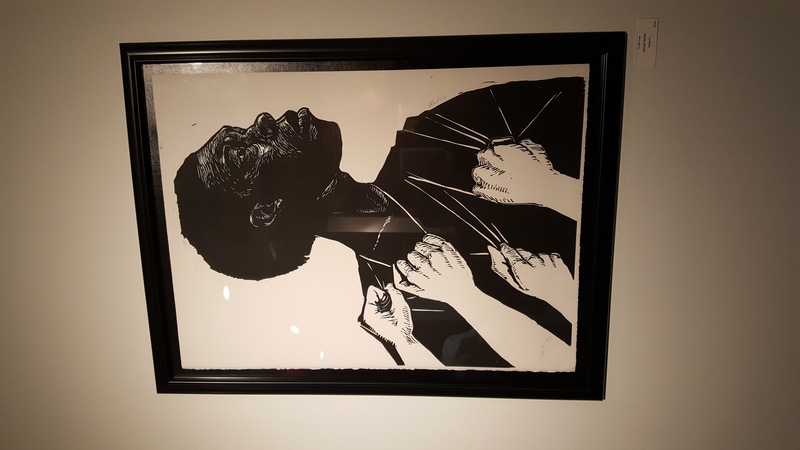 While conversations led by Cuyahoga Arts and Culture and some of the major foundations in town have begun to lay the groundwork for more equitable representation, the opening of a commercial gallery in one of the region’s best-known art districts represents an individual’s dream to succeed in the market. And that is a really big deal. On the first Friday in October, timed with the monthly Walk All Over Waterloo art walk, her opening was a giant success. 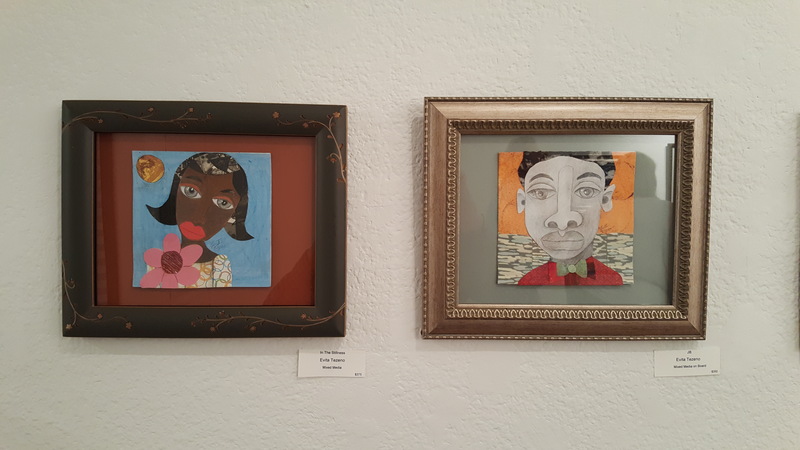 A diverse crowd looked over works in watercolor, oil paint, wood block and linoleum block print, pencil drawings, and other media. We saw multiple red dots. 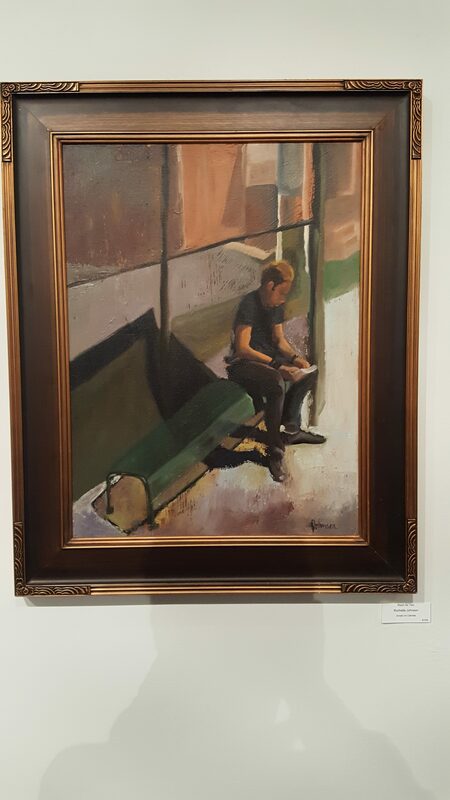 The works–mostly figurative, with some scenes–are priced for affordability, with some as low as $20, many from $100 to $500, and a few above $1000. One of the other gallery owners on the street—Louis Ross, of ArtiCle, made it a point to introduce me to Ms. Bartels. On her opening night, none of perhaps 15 different artists on her walls were from Cleveland. Neither is Bartels—at least not originally. 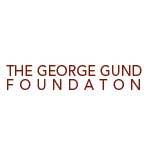 She grew up in New Hampshire, went to school at Bowling Green to study art therapy, and after graduation took a job working with severely emotionally handicapped children in the Positive Education Program in Cleveland. That was 27 years ago. She’s still just turning 49 years old. Opening the gallery with multiple artists from around the US, she accomplished a number of things: One is to put the emphasis on the new gallery itself, rather than the work of a single artist. It’s pretty unusual for a Cleveland gallery to emphasize work by artists who are not from here, and that puts it—and by extension, perhaps, the neighborhood—on a bigger map. 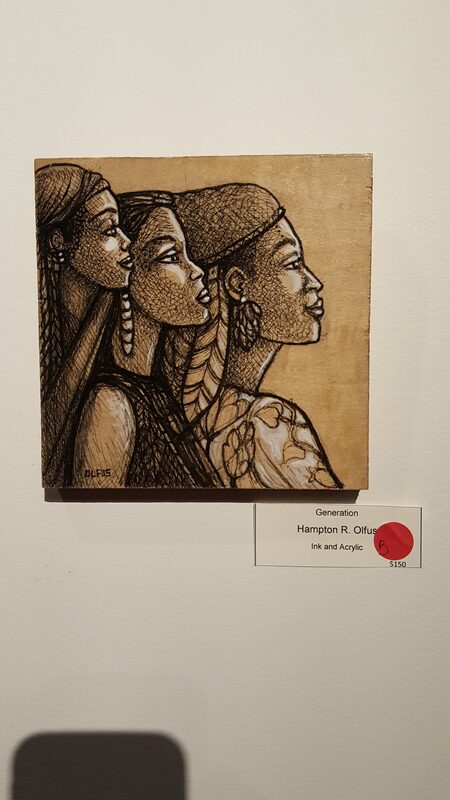 Her opening exhibit included works by well-established artists: Atlanta Based Charly Palmer, Houston, Texas artist Carolyn Crump, Evita Tezeno (also of Texas), Toronto artist Michael Gibson, Hampton Olfus, of South Carolina, and many others. That enables her to ride out the gallery’s inevitable lean times, which puts her a giant step ahead of the vast majority of galleries in the region. It’s great news for Cleveland that Bartels is positioned for the long haul. We are guaranteed to learn from this gallery, both about ourselves and about artists from the world at large. Here’s wishing Framed Gallery every kind of success.